Firefighters knock down a house fire on Strawbridge Avenue in Haddon Township. Credit: Curt Hudson. ‘The way the wind was blowing, it turned the inside of the house into a giant blowtorch,’ Westmont Fire Captain Dan Devitt says. 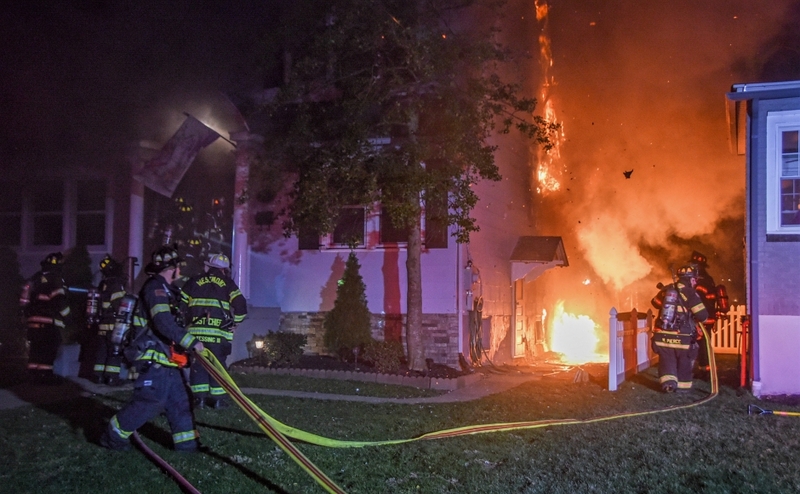 Photos of the rear of the Strawbridge Avenue home that caught fire Sunday night. Credit: NJPEN. Firefighters from three local companies fought against shifting winds and chilly temperatures to suppress a house fire in the unit block of Strawbridge Avenue in Haddon Township Sunday evening. 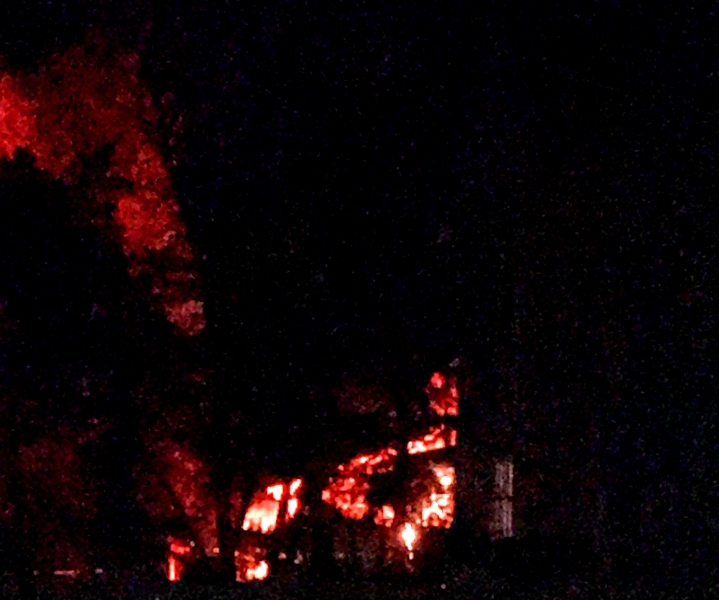 Responders were dispatched to the scene at 10:34 p.m., and arrived to find heavy smoke and fire extruding from the rear of the home, said Westmont Fire Captain Dan Devitt. Then the winds shifted, and things got much more complicated. “The way that the wind was blowing from the back of the house to the front, it turned the inside of the house into a giant blowtorch,” Devitt said. Firefighters stretched two hose lines into the interior of the home, one to the first and another to the second floor, to suppress any possible extension of the flames. Working together, teams from Westmont Fire Company, Haddon Fire Company, and Collingswood Fire Department had the scene under control within half an hour, Devitt said. The occupants of the home, who had evacuated prior to the arrival of first responders, were transported to a local hospital as a precautionary measure. Both were released later; neither they nor any firefighters were injured in the incident.